Dr. Emma Diponio did her medical school at the University of Michigan Medical School and completed her residency in radiology at the Grand Rapids Medical Education Partners-MSUCOM. She is board certified in the field of diagnostic radiology and has been in practice for nearly 20 years. 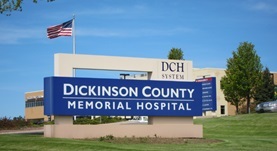 Currently, Dr. Diponio practices at the Dickinson County Healthcare System.